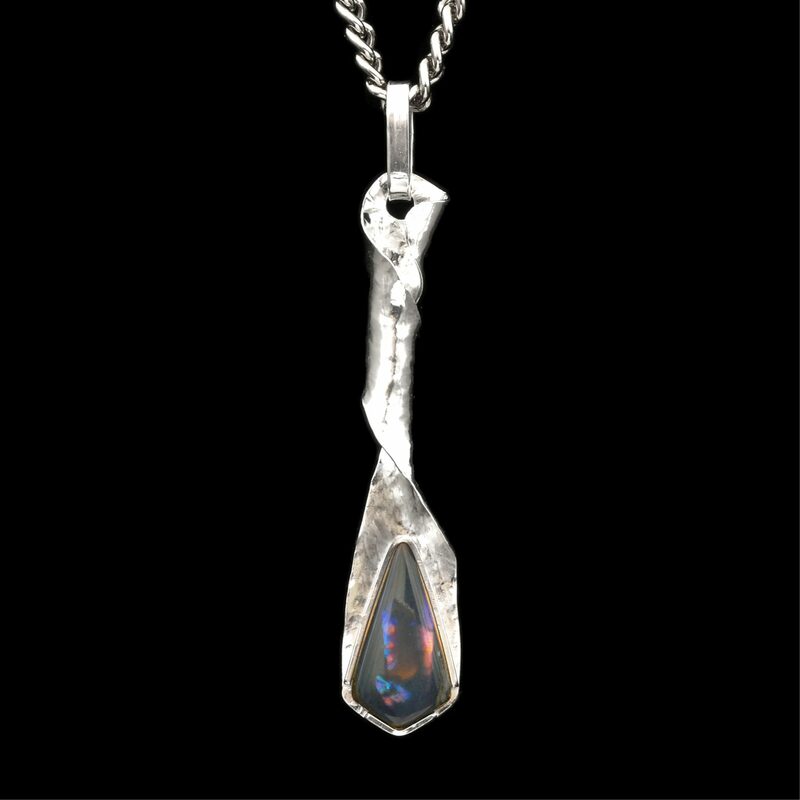 Solid black opal with lovely flash in hand-shaped fine silver pendant. Stunning! One of a kind.